Some people avoid marketing materials like the plague so as not to encounter dreaded spoilers. I’ve never believed in that, seeing as how today’s marketing campaigns can be quite fun with all the viral videos and such. Prometheus has me strongly reconsidering my position, as its onslaught of advance marketing has me feeling like I’ve seen the movie already. It’s getting even more intense as the release date draws closer. Surprisingly, the biggest possible spoiler yet comes by way of a still image in a poster rather than a trailer or a viral video. 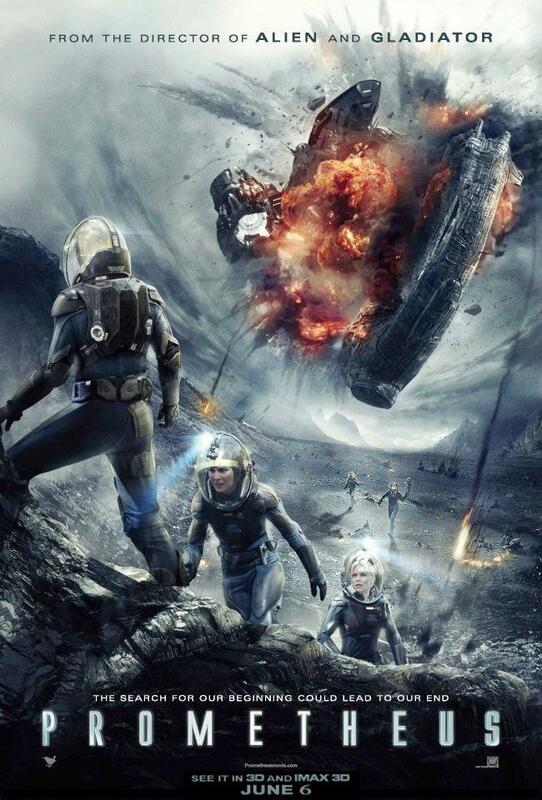 The new international poster for the film shows the derelict spacecraft from Alien exploding in mid-air as The Prometheus crashes into it. The film’s trailers have suggested that the arrival of The Prometheus triggers a sequence of events that sends The Derelict on a mission to earth with a fresh crop of facehugger eggs in tow. Idris Elba plays Janek, the captain of the Prometheus. Tambay over at Shadow & Act has pointed out that as the ship’s captain, Janek is the one who usually sits behind the wheel. So if someone decided to pull a kamikaze with the Prometheus in order to save mankind, it would likely be him. If this is true, Prometheus will have employed one of the oldest and most laughable clichés in the sci-fi/horror handbook. Only two of the crewmembers faces are visible elsewhere on the poster, so it’s impossible to know. Hopefully, the only Black character in the cast was able to remote pilot the ship. Idris’s character in Thor managed to live on for sequel. I certainly that happens here as well. Speaking of Marvel, I kind of like how the composition of the poster makes it look like the cover for the films comic book adaptation.